This is the story about a man named Harold Crick... and his wristwatch. Harold Crick was a man of infinite numbers, endless calculations, and remarkably few words. And his wristwatch said even less. This is a story about a man named Ian Tewksbury... and his first grail watch. Ask the typical watch enthusiast what their first or current grail watch is and I would bet (if I were a betting man) that you would hear the likes of a pre moon Omega Speedmaster, a caliber 11 Steve McQueen Tag Heuer Monaco, a panda dial Rolex Daytona (dare I say, with a Paul Newman dial), a Patek Philippe grand complication, or any similar piece of horological history with a price point out in the financial stratosphere. Those are all fine examples of timekeeping legend, and if anyone wants to send me one, I will be happy to provide my shipping address, but the distinct honor of my first grail goes to the Timex T56371 Ironman Triathlon. Your initial question is likely, “What’s wrong with you? Who in their right mind in a choice between a Timex and fine Swiss mechanical engineering, chooses a Timex?” Dear reader, if you’d pause to think, I believe you’d realize that that answer’s inextricably contingent upon the person embarking on the grail quest, and of course, the story behind the watch. Before one can set off to hunt his white whale, or impart the tale of the quest, we must first understand what is being sought. After all, we do not want to end up like Donovan at the end of The Last Crusade, picking up a gold chalice when he really should have been looking for a wooden cup. And every weekday, for 9 years, Harold would complete 7.134 tax files as a senior auditor for the Internal Revenue Service. Only taking a 45.7 minute lunch and a 4.3 minute coffee break. Timed precisely by his watch. The T56371 is neither encrusted with precious gemstones, nor crafted from solid gold. It does not contain a desirable mechanical movement. It is in many ways unremarkable, but it is an attractive and functional analog watch, appropriate for telling the time "while endlessly filing tax records," as well as a feature rich digital tool watch with three timers, 2 alarms, a 24 hour chronograph, and between the digital and analog watch, 3 time zones. This dual-tech feature is actually nothing new to me. One of the first watches in my ever growing collection was hand me down Citizen Skyhawk with a superset of all of the Timex features. Therefore, it was not the impressive feature set that elevated the T56371 to grail status, as cool as it may be. Instead it achieved this place of honor because it was the timepiece of Harold Krick, the character played by Will Ferrell in the movie Stranger Than Fiction. For those who have not seen the movie, the Timex T56371 is not merely a prop in the movie, like a Rolex or Omega worn by 007, but rather an actual character, with a personality, that continually moves the plot forward, even though Harold actually cares very little it. 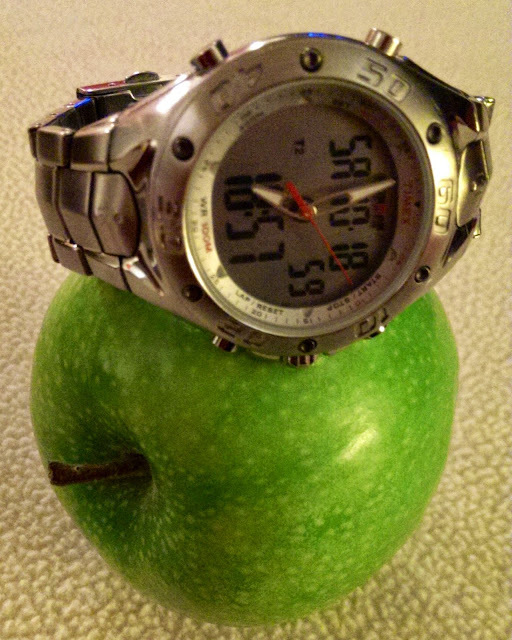 In fact, Harold had never once paid attention to his watch other than to find out the time. And honestly, it drove his watch crazy. 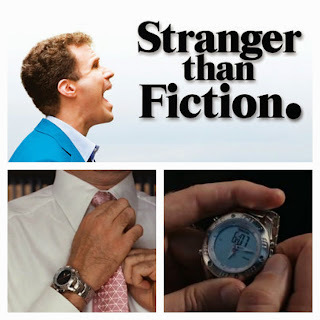 I will not wax poetic all of the reasons why Stranger than Fiction is my favorite movie of all time, despite my entrenched hatred of almost every other Will Ferrell movie in existence, but I will lend a bit of context to my obsession with the watch. I first saw Stranger Than Fiction at a solo matinee viewing, and a couple hours later I was back at the theater having dragged my best friends out with me because they just had to see this movie right now. Twice in one day. For a broke college kid with homework to do, that meant something. It still does. Suffice to say, the movie holds a special place in my heart and always will. Enter my recent obsession with watches. It was only natural that I would take my new passion and combine it with my old. It did not take long to Google “Stranger Than Fiction watch” and figure out exactly what was on Harold Kirck’s wrist, so I could get it on mine. It took a few months of searching eBay and watch forms on a regular basis before one finally popped up for sale. I snipped the eBay bid in the last closing seconds of the auction and I was suddenly the proud owner of my grail. I spent the next week refreshing the shipping tracker like a kid counting down the days 'till Christmas. When the day finally arrived, I eagerly opened the package, and was ecstatic. The case and band were a bit more beat up more than it looked in the pictures, and the watch felt flimsier than I had imagined, but I didn’t care, it was my grail, and I had found it. I had triumphed! 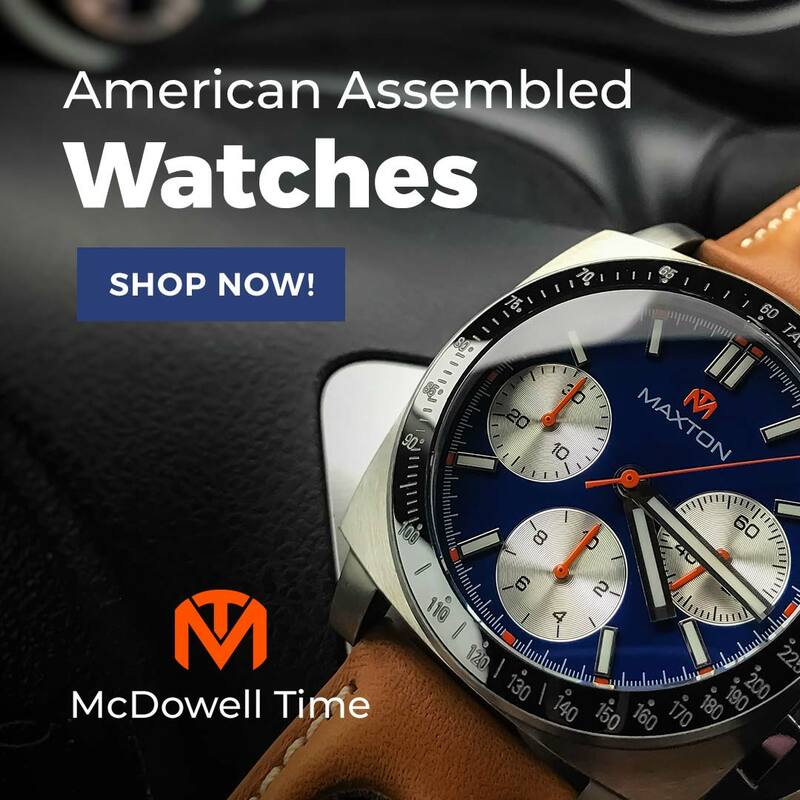 The watch has a surprisingly detailed brushed and polished stainless steel case with integrated bracelet from China and a quartz movement from Thailand. The more I stare at the details of the bracelet and case the more detail I find. Under closer inspection the keen eye sees there is a flawless transition between brushed and polished steel. This dual tone finishing is not something you often see in a watch with an original MSRP of $60. The links of the integrated bracelet follow the same dual finishing as the case itself, with brushed faces and polished edges. It is only by looking between the links that the price point really starts to show, revealing folded steel rather than solid links. Then as your eyes wander back to the bezel you notice it has engraved 10 minute markers with yet a third finishing, sand blasting. Normally a major complaint of mine with engraved bezel markers is they are hard to see, but somehow the magic of sandblasting the numbers, which you can really only see if you put the watch centimeters from your eye, make the numbers pop. Then there are the hex screw heads interspaced between the engraved minute numbers. Here now we have a fourth stainless finishing, mate. I believe, but am not brave enough to test, that these screws are actual real screws with the purpose of holding down the bezel which in turn holds the crystal in place. These screws, while likely making crystal replacement a breeze, add a bit of an industrial edge to an otherwise dress type watch. In words it sounds like a hot mess, but like a Seagull 1963, once you see it in person you realize it all just works. 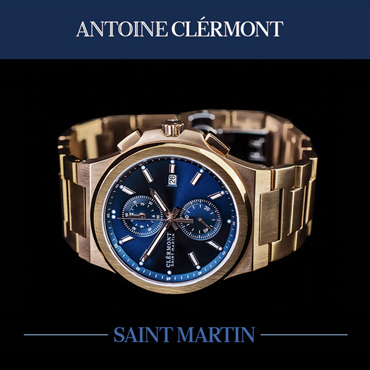 First glance of the watch face reveals the distinctive ticking seconds hand of a quartz analog movement. There is a minutes chapter ring, in line with the engraved bezel minute markers, that also proclaims a 100M water resistance. Also legible on the chapter ring are labels for functions such as “START/STOP”, “LAP/RESET”, “MODE”, and “SET/INDIGLO”, that align with buttons around the case at, 2, 4, 8, and 10 respectively. But wait, this is an analog watch with a single stop pull out crown for setting the time. How in the world can a three handed quartz analog have need for four function buttons. 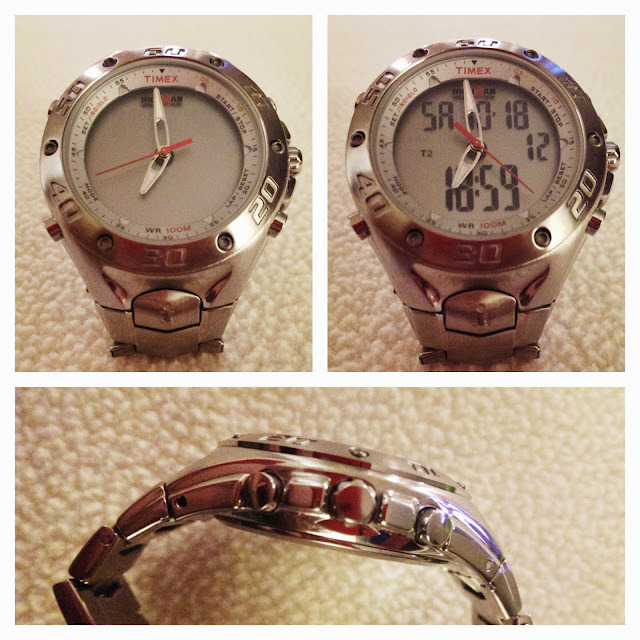 It turns out the T56371 lives a dual life, as could already be gleaned by the case styling, press the “START/STOP” button and the face of the watch comes to life as a digital watch. 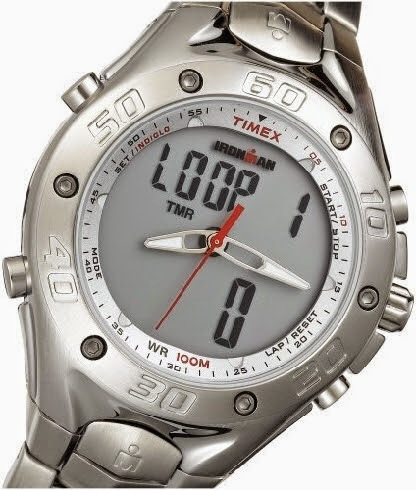 Timex branding refers to this a “dual-tech” feature. I refer to it as sneaky. Timex has managed to hide all of the normal features of their Ironman Triathlon multi-function digital watch in the guise of an analog dress watch. At precisely 11:13 every night, Harold would crawl into bed alone, placing his wristwatch to rest on the nightstand beside him. That was, of course, before Wednesday. On Wednesday, Harold's wristwatch changed everything. A month from my triumphant purchase, I needed an alarm for a camping trip, and preferring a watch easy to read in the dark, I naturally brought the T56371. It failed. After sleeping late that next morning, I looked at the watch, thinking I forgot to turn on the alarm, but nope, the alarm was on. I ran a quick test, setting an alarm for 1 minute later. Nothing happens, no beep, no nothing. My heart fell out of my chest. My grail was a lemon, and it was now far too late to return to seller. Back on the hunt. I guess that is why they call it a grail quest. Seven months after my first T56371 purchase, another one popped up on eBay, it looked like it was in good shape, and seller said the alarm is working. A week later the prize was mine and the second coming of my grail was in hand. I immediately tested the beeper, and worked as advertised. Not only that, but the watch is in crispy mint condition. The seller had drastically undervalued it in the description. It even still had the “MOV’T THAILAND BRACELET CHINA” sticker on the case back. 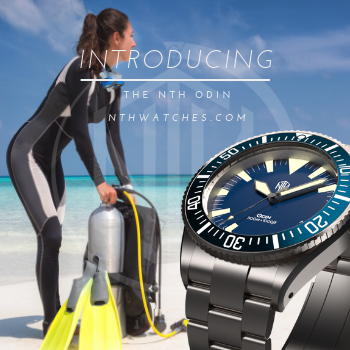 The watch may as well have never been worn. Not only that, the flimsiness of grail number one was non-existent in grail number 2. My assumption is that the links, being folded steel, likely loosened over time making the integrated bracelet less secure. I have hit it, the grail jackpot, the perfect reference for the watch I was looking for. I could not have asked for better. Then I stepped into a dark corner to check out that amazing Timex Indiglo. Pressing the Indiglo button did nothing. No joy, just disappointment. Without Indiglo, it was a scrap of metal. I immediately emailed the seller, who was very apologetic and offered a full refund, but I was not ready to give up. The watch was perfect in every other way. In frustration I started Googling everything I could about the watch to find a way to repair it. Buried on the third page of Google results (yes I was so desperate, I went past the first page), in a comment on an obscure forum, someone mentioned that if one of the the batteries is dying in the watch the Indiglo will start to fade. Wait, what? One of the batteries? It turns out the T56371 has two, one that runts the analog watch, and one that runs the digital. Full of hope, I was on the next metro train to my local mall. I walked up to one of those tiny little watch stands and asked if they could change the battery in my watches, carefully retrieving my treasures from my DeCamp watch roll. I figured it can’t hurt to do both. The nice man immediately said it would cost extra because the watches each have two batteries. Holy cow! Mad props to watch vender guy at mall, knew more about my grail at first sight then I had learned in months of research. After a quick haggle on price for 4 battery change he said to come back in 20 minutes. The anticipation was killing me, I stayed away for about 5 minutes and then just hung around his cart, watching. He kept asking me to come back, but I refused to leave. 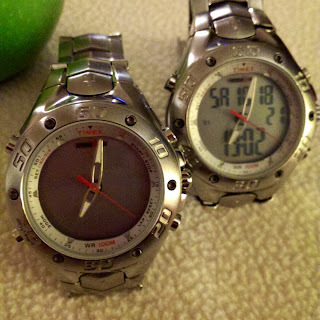 After what seemed like hours, he handed me back both watches. In the middle of the crowded mall I put my head under my shirt with both watches and turned on the Indiglo. EUREKA! Now to test my hypotheses. I set an alarm on my first purchases and watch the 60 seconds countdown. Beep Beep Beep Beep. My jaw dropped. All they needed was a simple battery replacement. It seems one battery runs the analog function and the beeper, while the other runs the digital functions and the Indiglo. Watch number one had a enough of charge to run the analog watch, but not enough to make a beep, and watch two had a working beeper battery and a dying Indiglo battery but still enough to power the digital watch. So now I have two copies of the same grail watch. Both are fully functioning. Both have great stories behind them. I am also a man with limited watch storage so cannot justify owning them both. 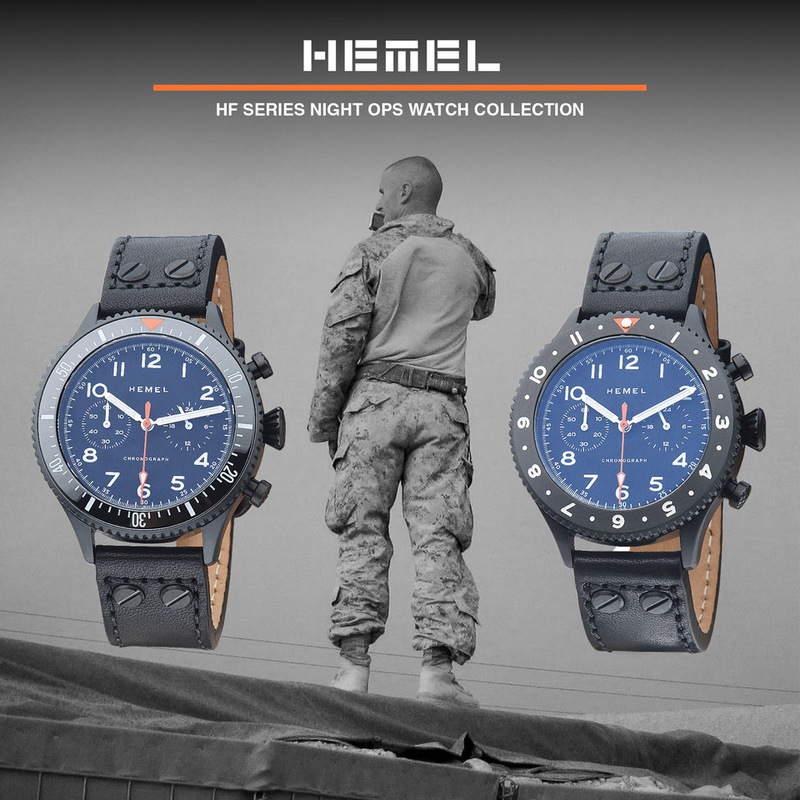 I have hemmed and hawed about what to do, and decided that I would rather give the watch to someone who truly appreciates it, than to just sell it on eBay. To that end head over to @itewk on Instagram for a chance to be impatiently waiting for the postman yourself. I know the idea seems strange, but I also know that it just so happens to be true. Guest Bum Ian Tewksbury is a software professional, amateur skydiver, and enthusiastic watch nerd. Perhaps one day, medical science will cure the the terrible affliction that prevents him from enjoying such classics as Anchorman and Blades of Glory.